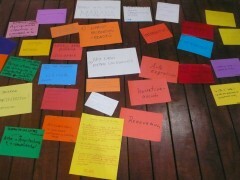 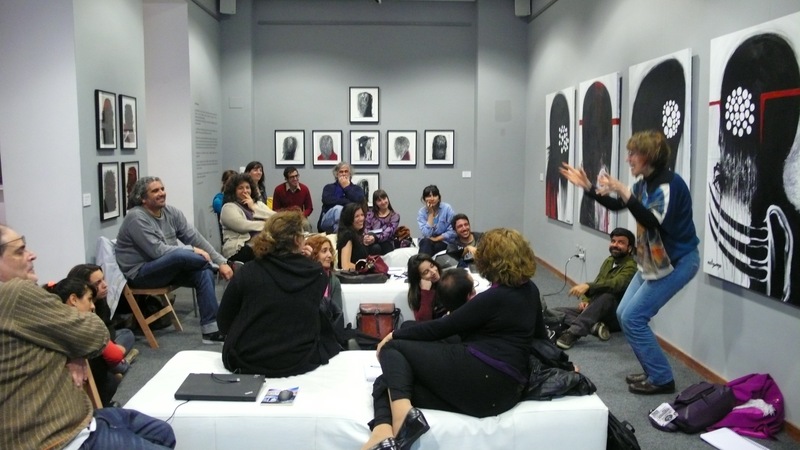 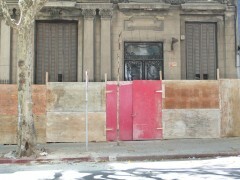 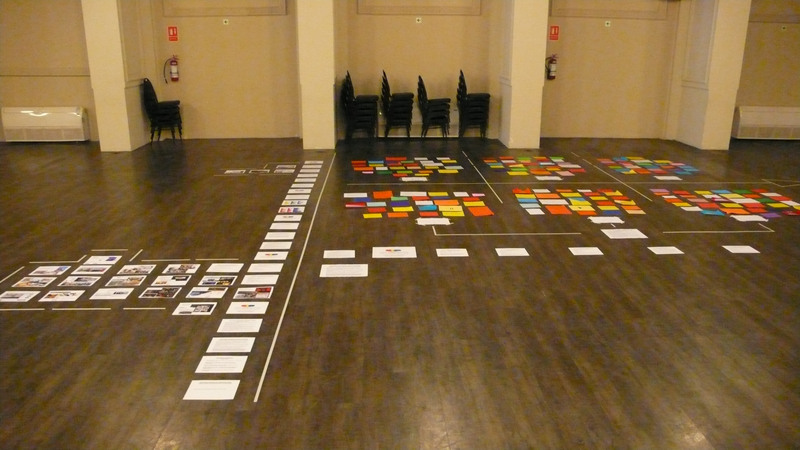 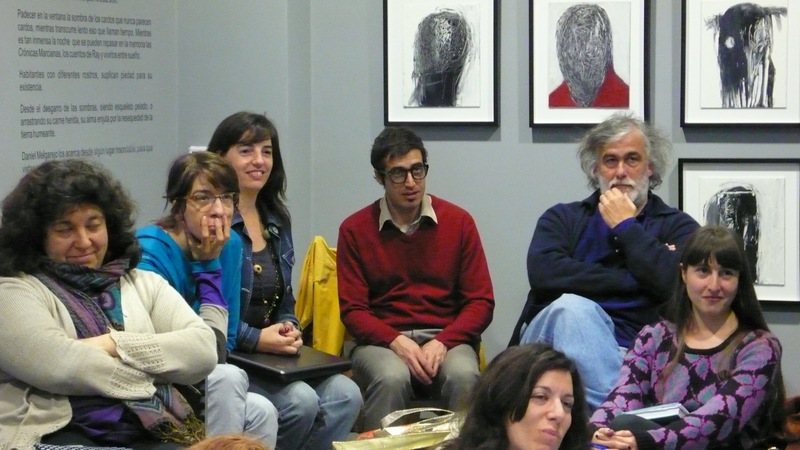 MONTEVIDEO EXPERIMENTAL, Making the Future with Art, 2013-14. 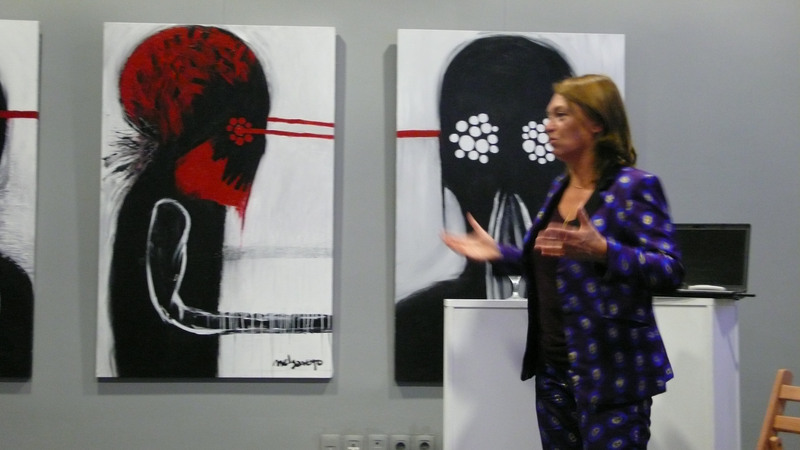 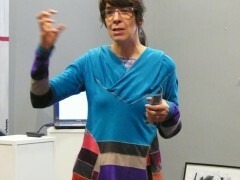 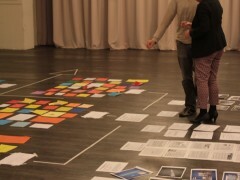 Art-based urban future research developed by Dra. 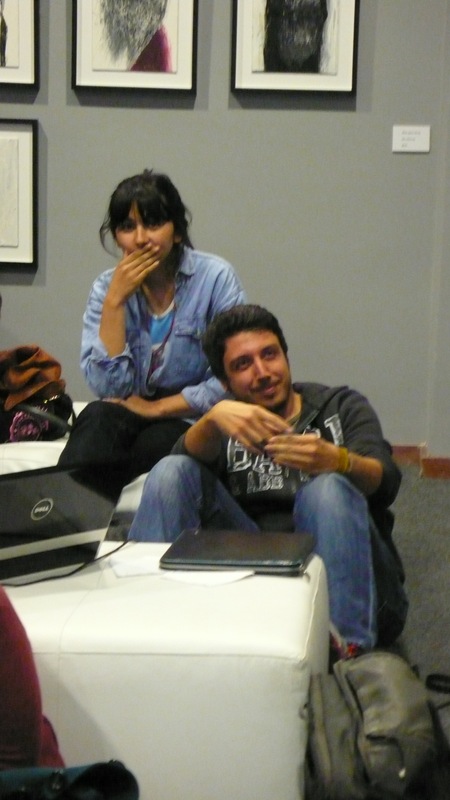 Arq. 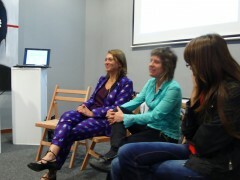 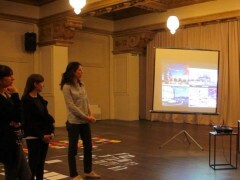 Carina Nalerio (Director of LaboPt / Territorial Prospective Lab, Architecture Facutly, University Republica, Montevideo) and French artist Raphaële Bidault-Waddington (founder of LIID / Laboratoire d’Ingénierie d’Idées – www.liid.fr). 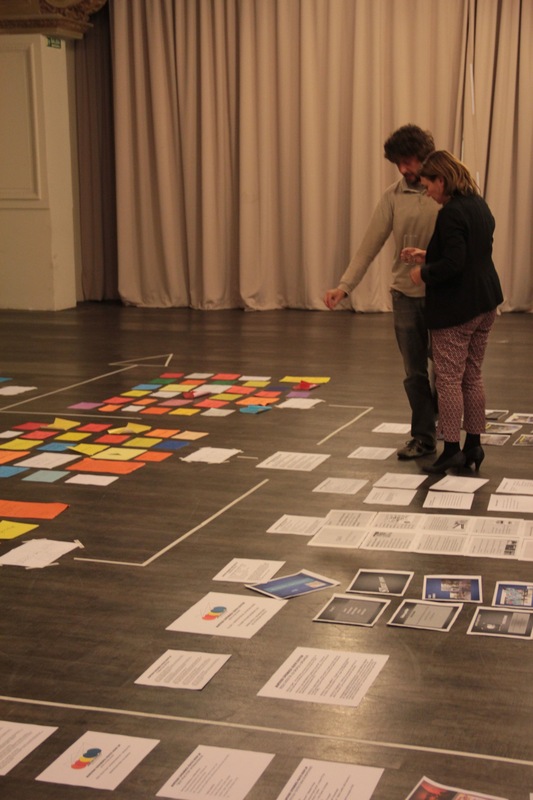 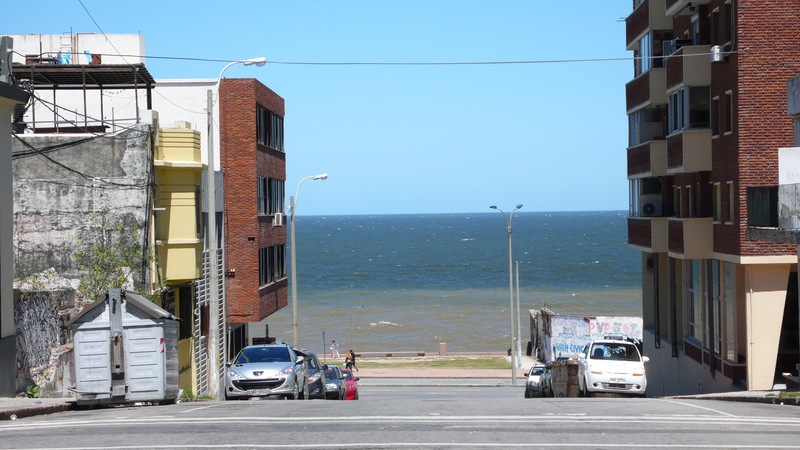 The principle of Montevideo Experimental is to combine academic prospective research method with artistic experimentations as an innovative form of action-research and a new critical way to envision the future of the city. 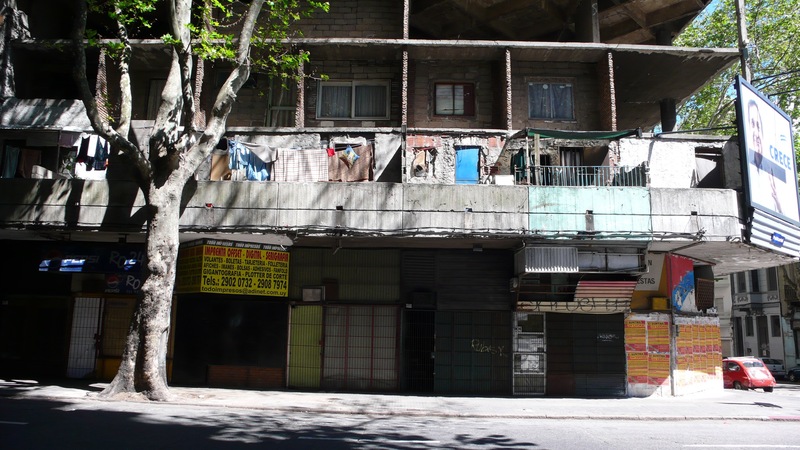 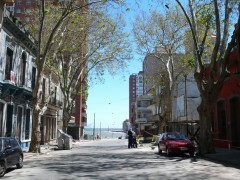 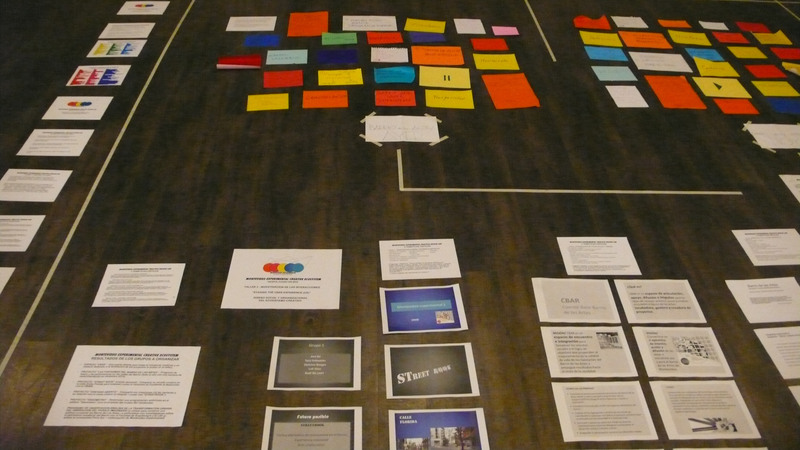 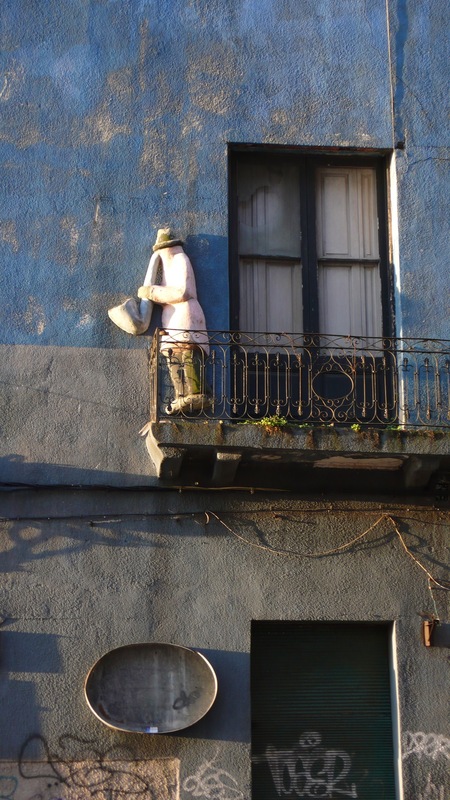 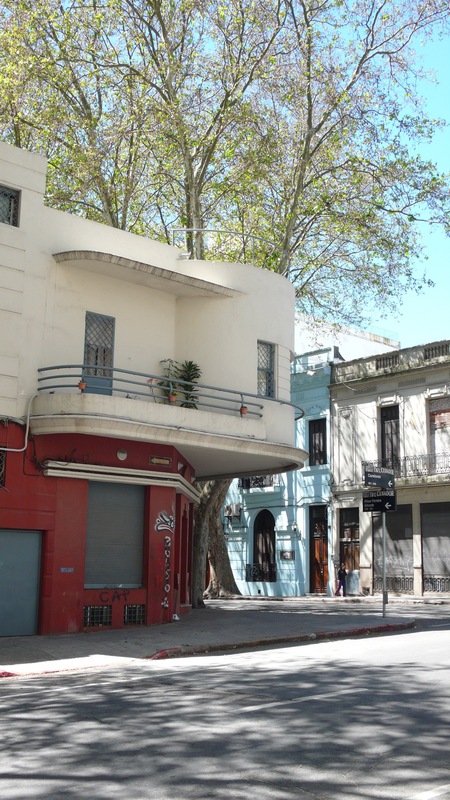 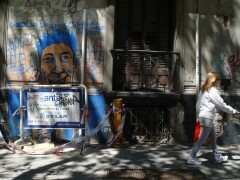 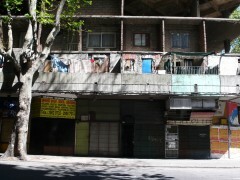 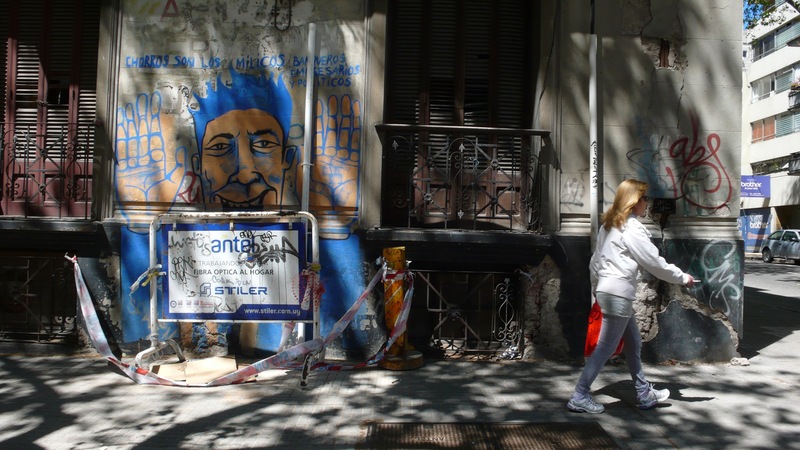 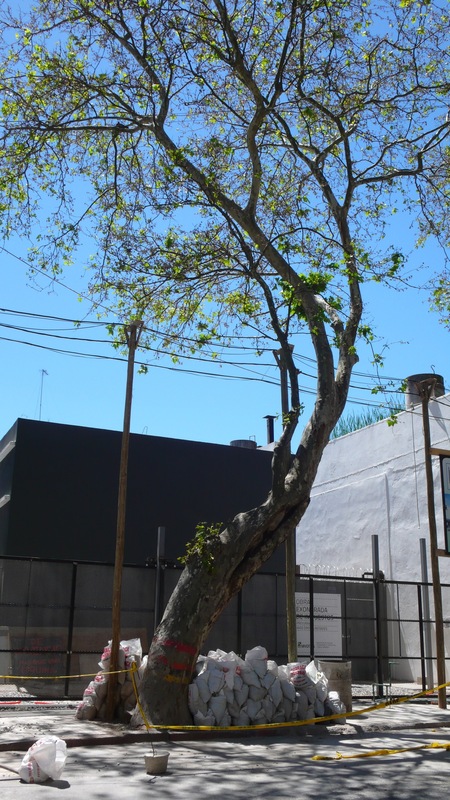 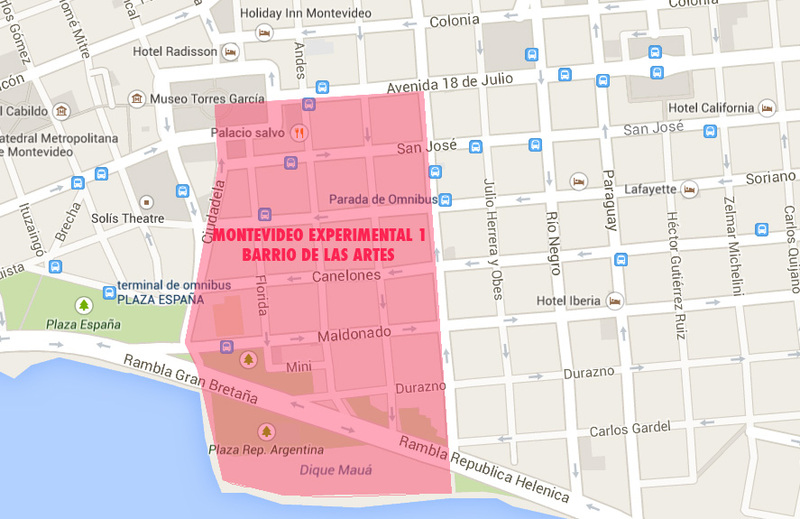 Taking the emerging Barrio de Las Artes of Montevideo (located between Ciudadela, ave 18 de Julio, Aldunate Ferreira and the Rambla South) as a first territory of experimentation, Montevideo Experimental 1 consisted in a series of collaborative workshops. 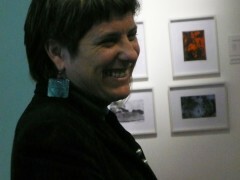 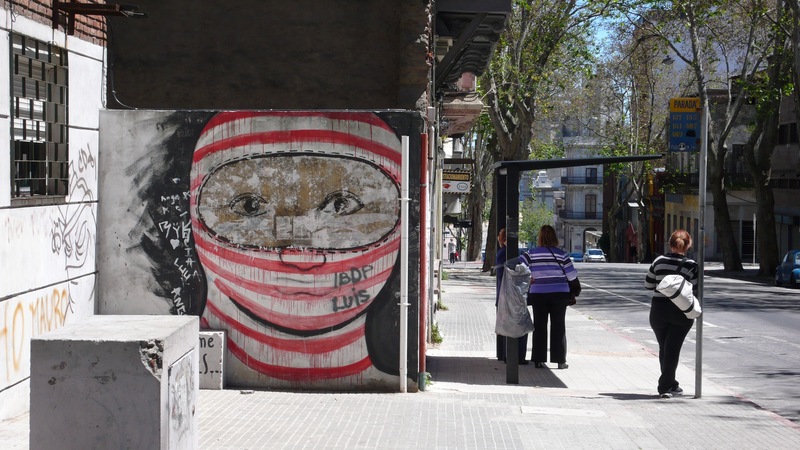 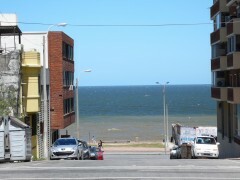 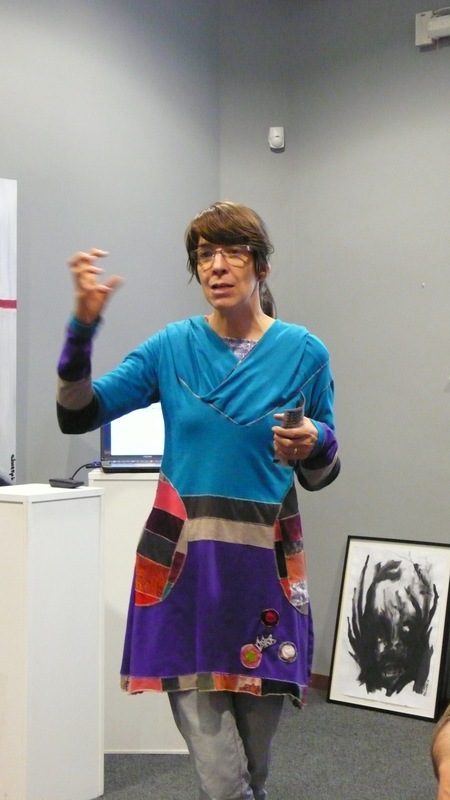 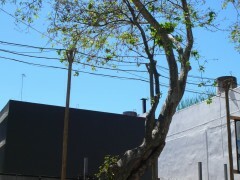 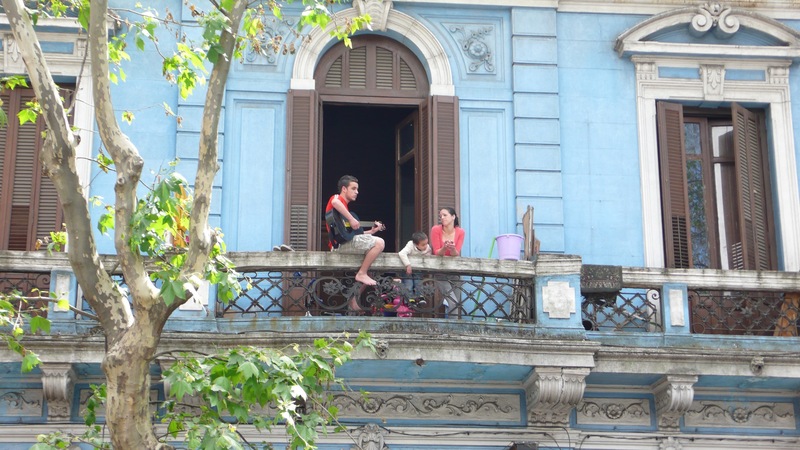 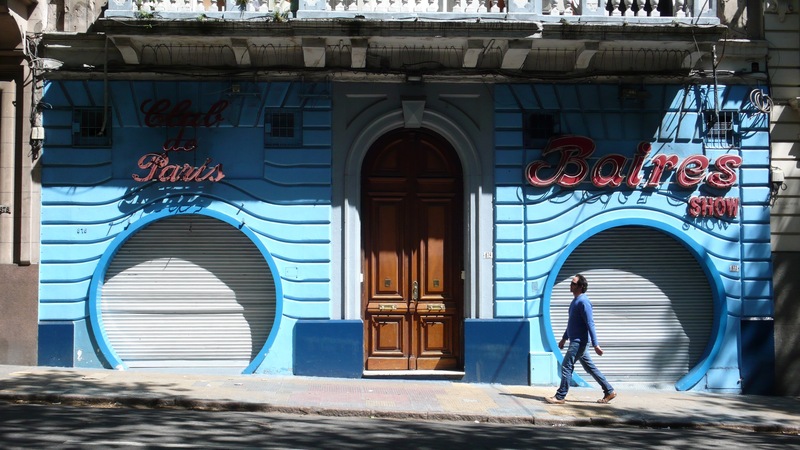 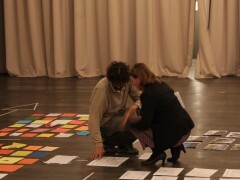 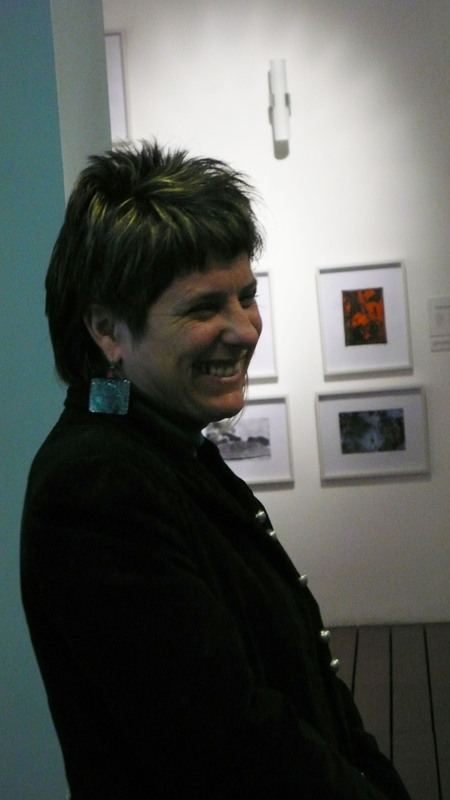 Raphaële Bidault-Waddington’s research residency in Montevideo in 2013 received the support of both Fundacion Polo Mercosur and Foundation Gustavo Posse. 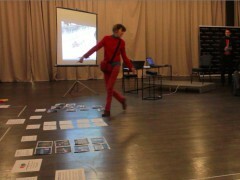 Besides the workshops, the residency included a photographic research (see attached albums) and encounters with students and professors at the Architecture Faculty. 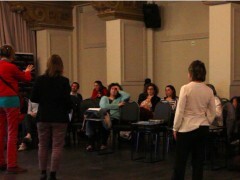 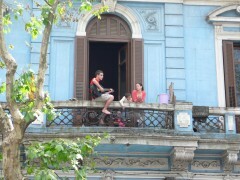 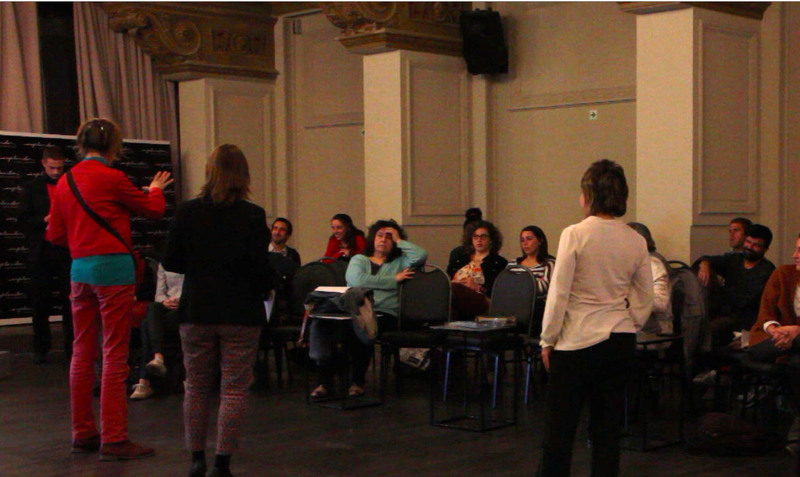 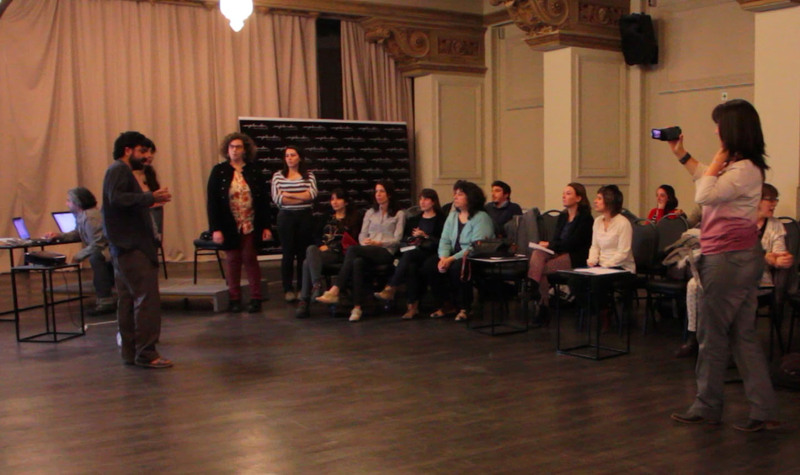 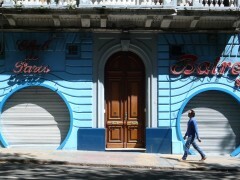 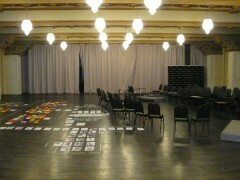 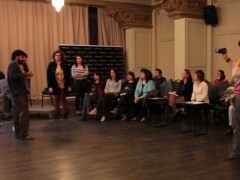 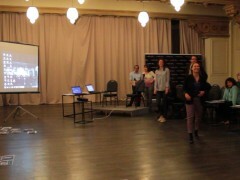 The final workshop took place at the Teatro Cerventes. 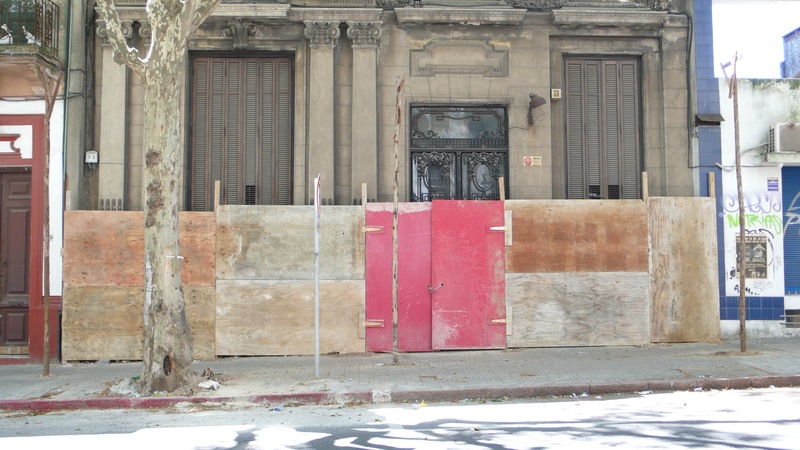 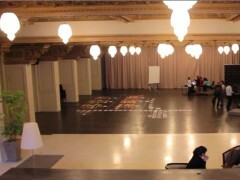 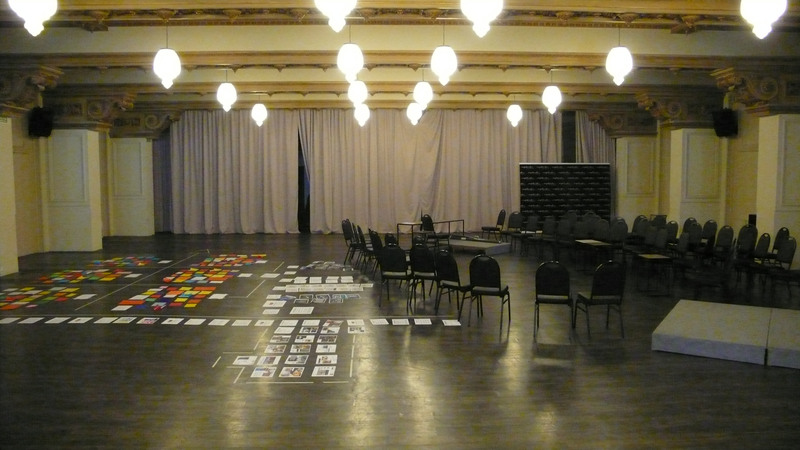 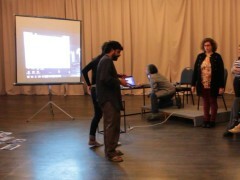 Bidault-Waddington transformed the vast stage into a “performative installation”, a live experiment allowing the group to envision how the various projects could become a full artistic ecosystem in the Barrio de Las Artes. 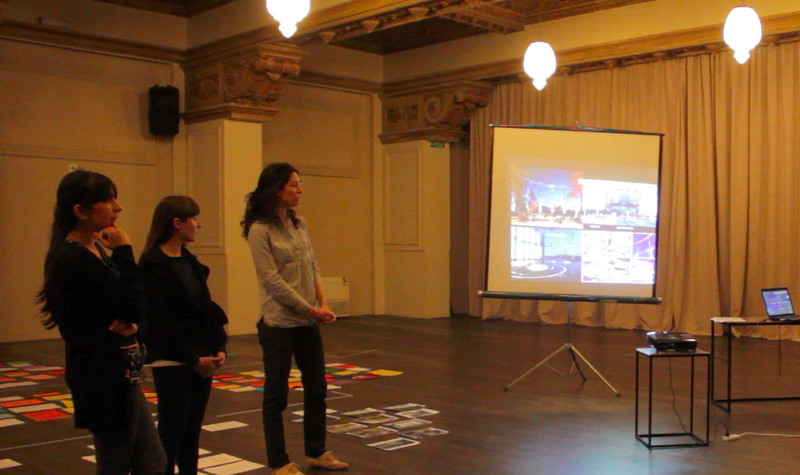 In an “open lab” spirit, a panel of key urban experts and decision makers (cultural journalist, cultural investor, urban designer, etc.) 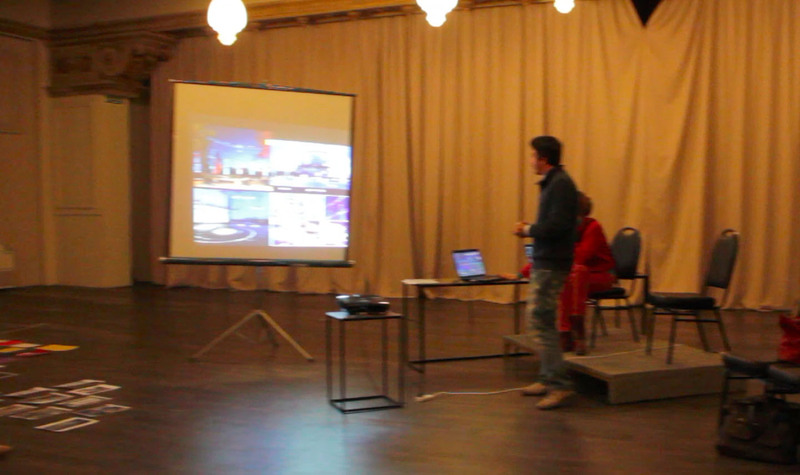 were invited to give critical advice and test the projects’ feasibility. 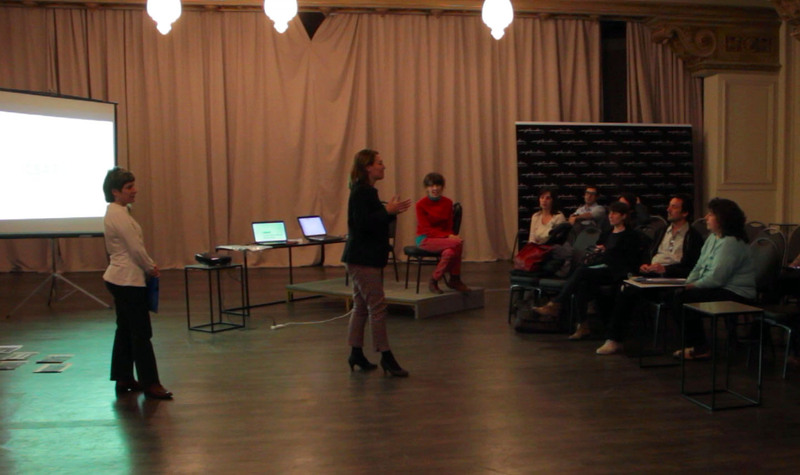 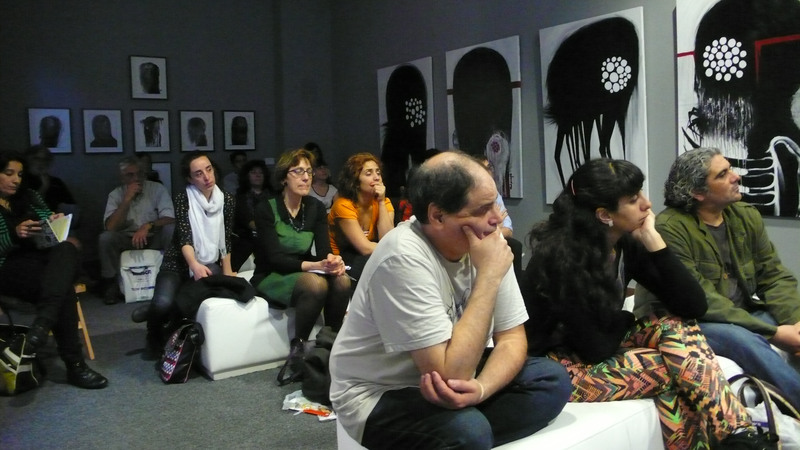 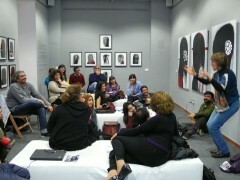 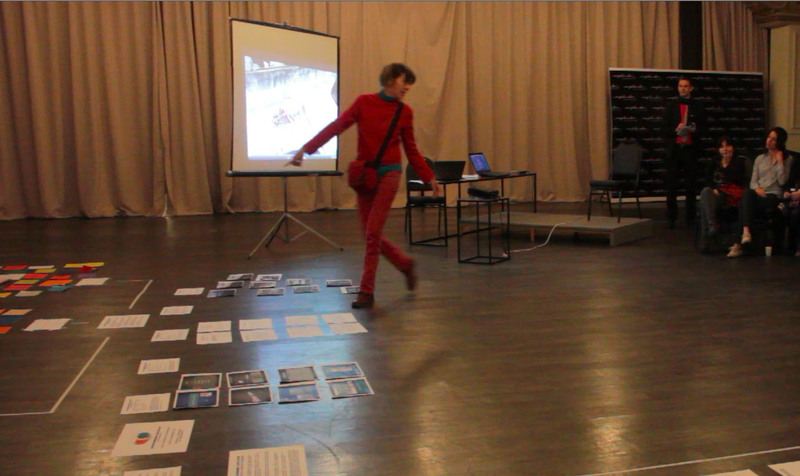 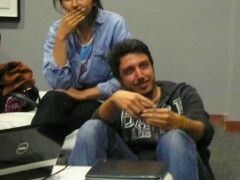 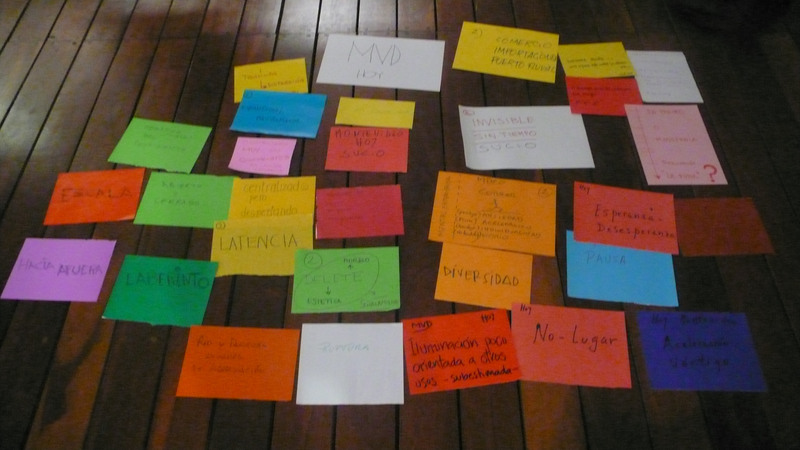 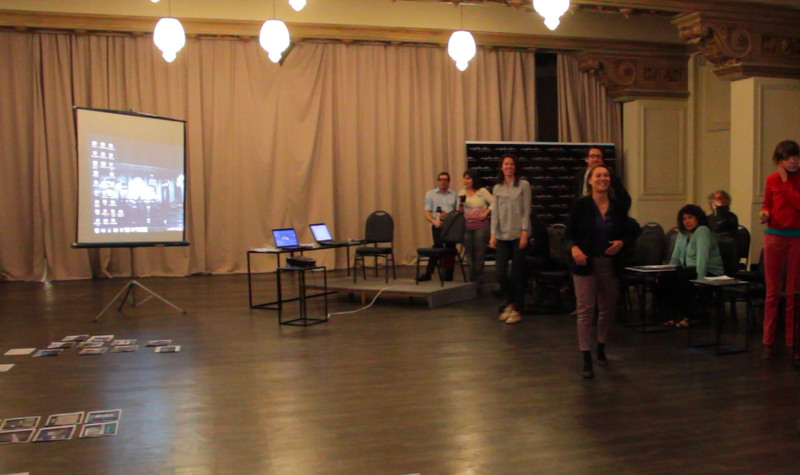 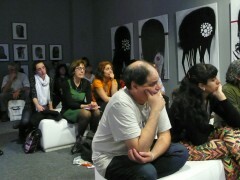 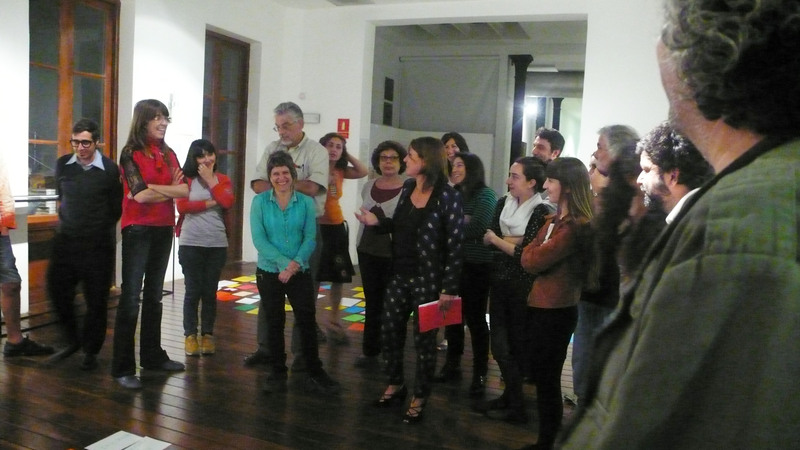 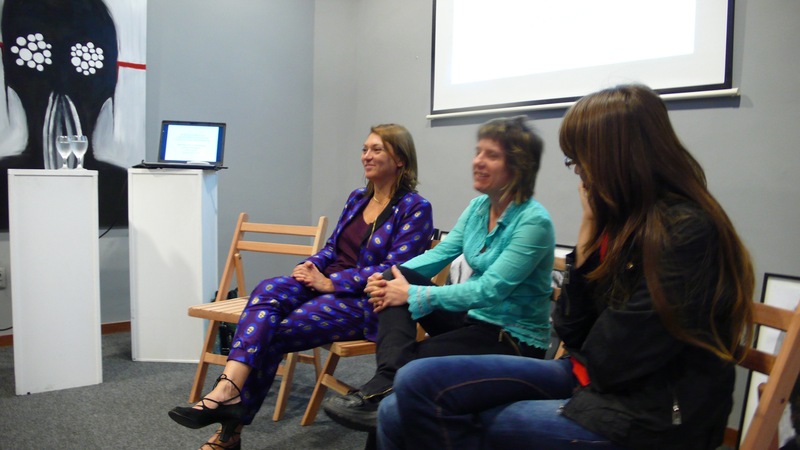 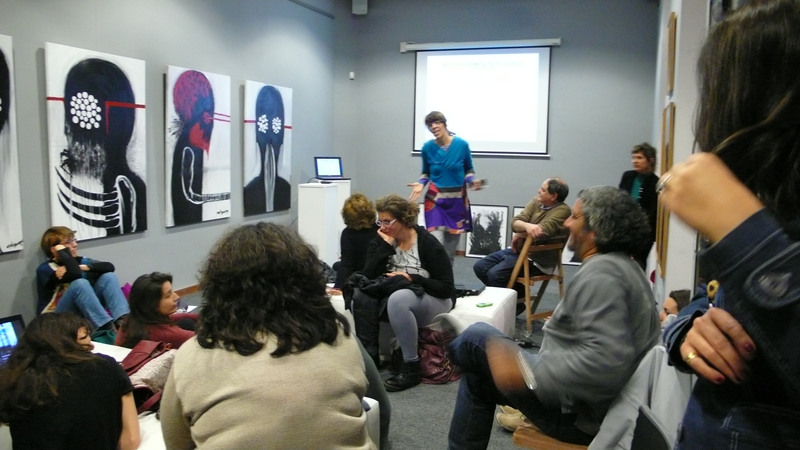 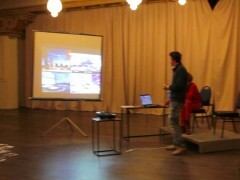 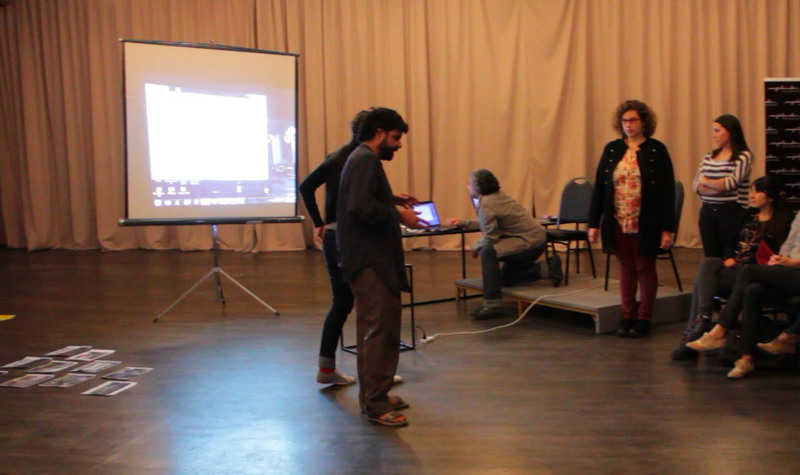 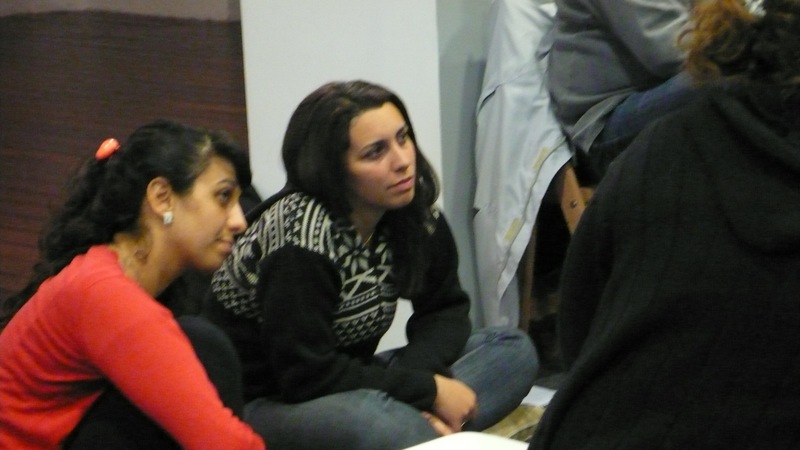 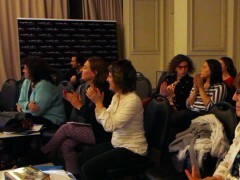 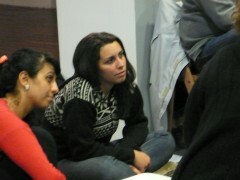 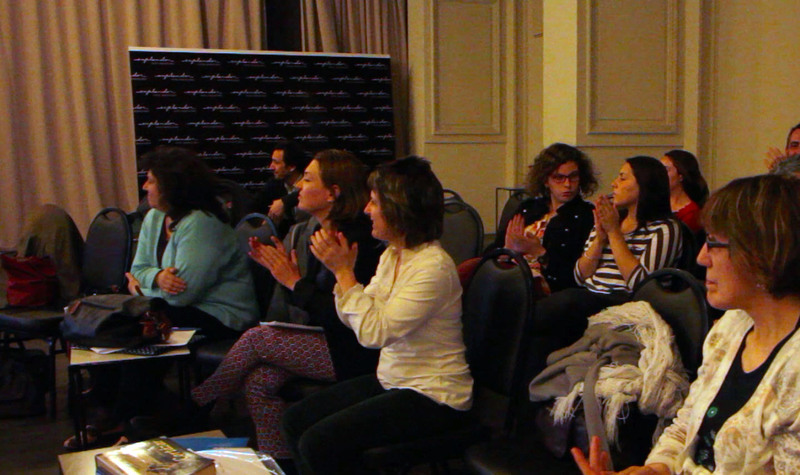 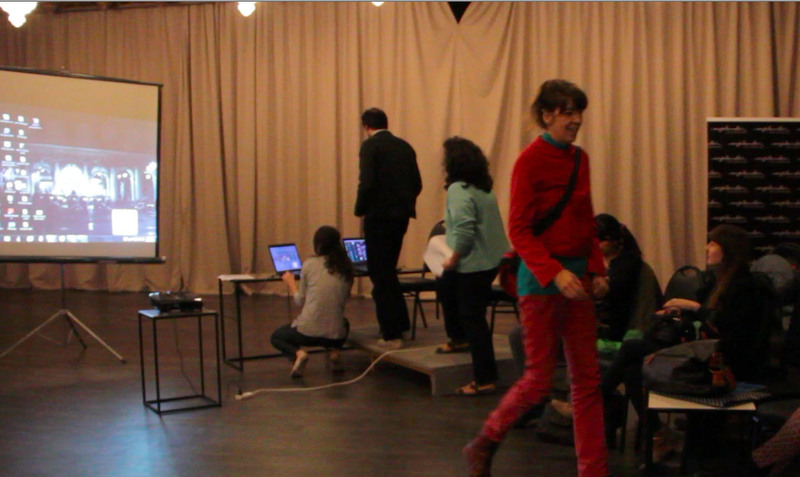 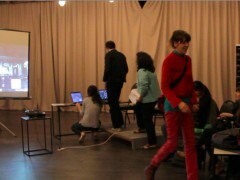 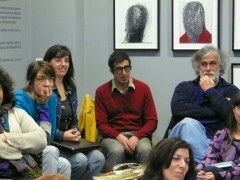 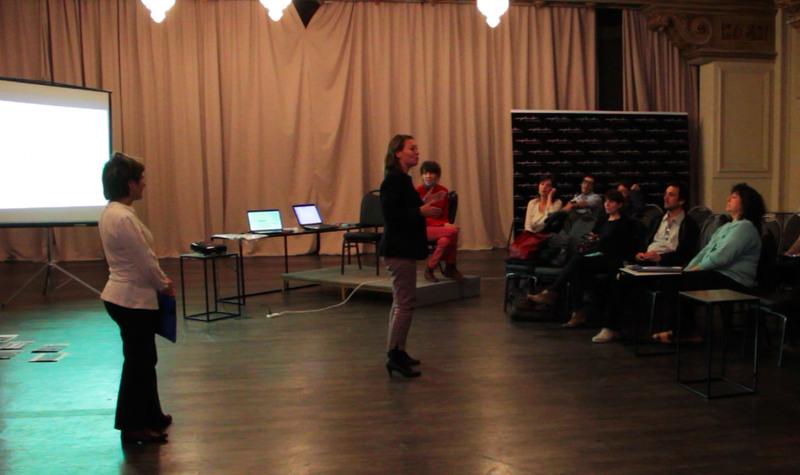 The results of Montevideo Experimental 1 were then presented in the Dia Del Futuro event. 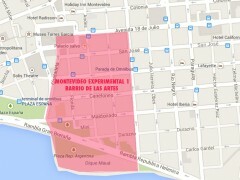 The Montevideo Experimental 1 workshop experiment gave some strong and rather concrete insight about possible future visions for the Barrio, but also raised other critical issues: commitment and feasibility of projects; inclusion of populations and diversity; economical, touristic or political instrumentation; risk of similarities with the neighboring “Old City” failed urban development; potential competition with another emerging Art district (e.g. 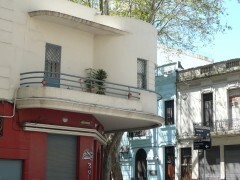 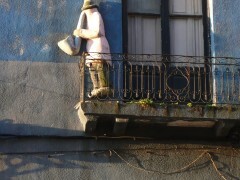 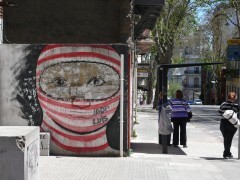 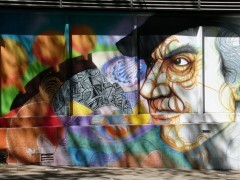 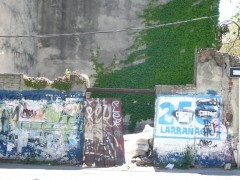 near the EAC / Espacio de Arte Contemporaneo). 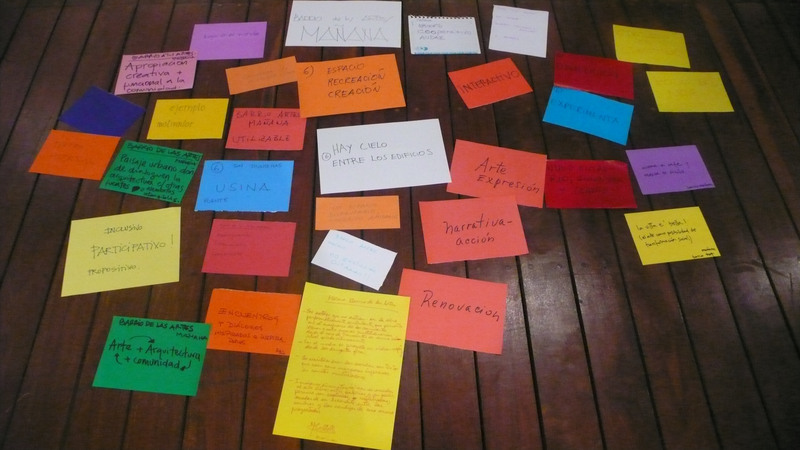 The idea of a “Good Practice Charter” to recognize, value and strengthen artistic actions appeared as a relevant short-term solution. 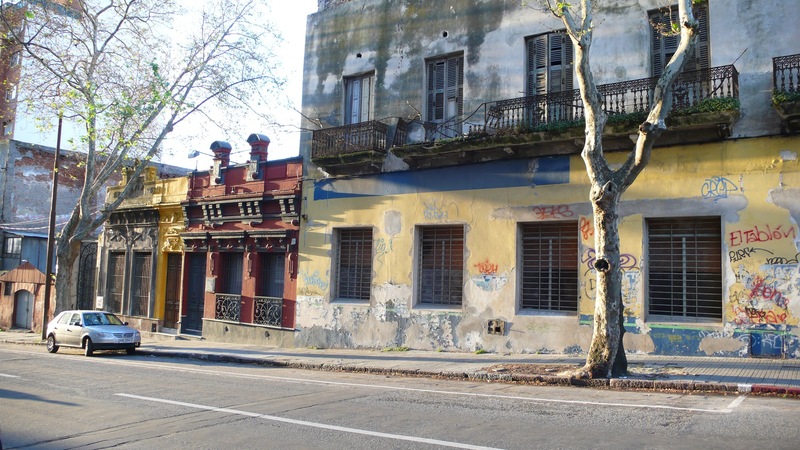 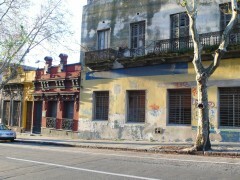 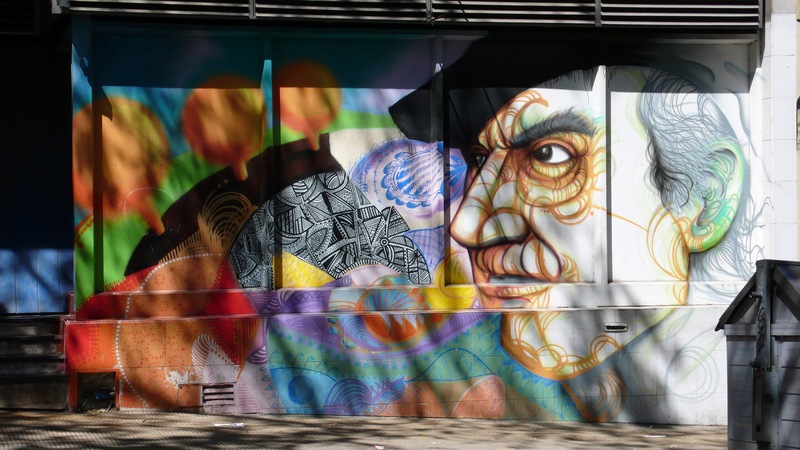 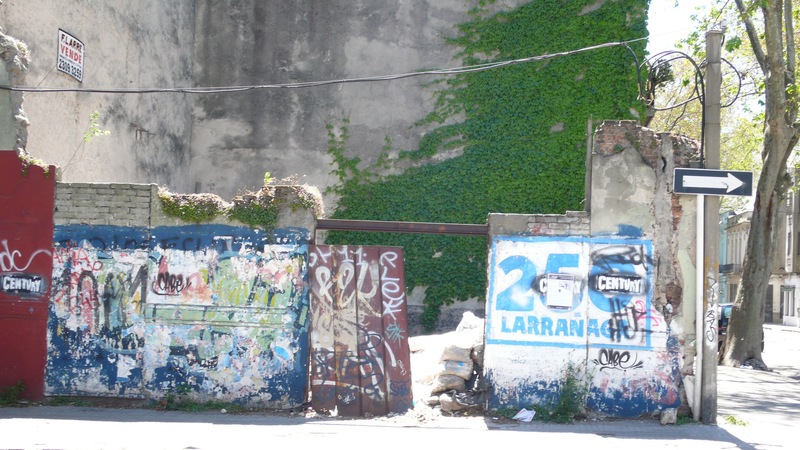 The positive and negative results of Montevideo Experimental 1 are now re-introduced by LaboPt in its prospective research matrix, in order to design several possible future scenarios for the Barrio. 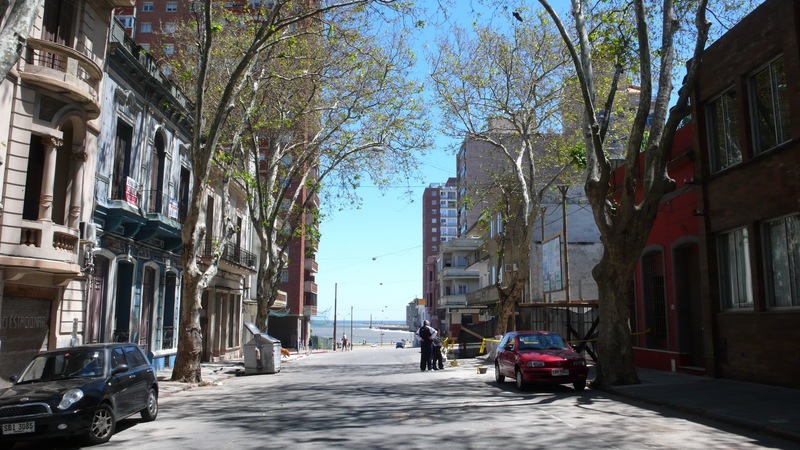 This will include comparative analysis with other experimental initiatives in Montevideo and other cities. 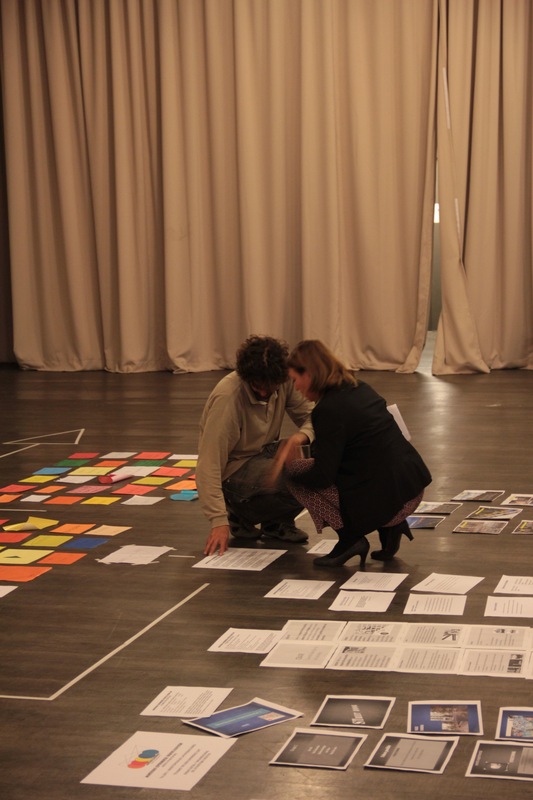 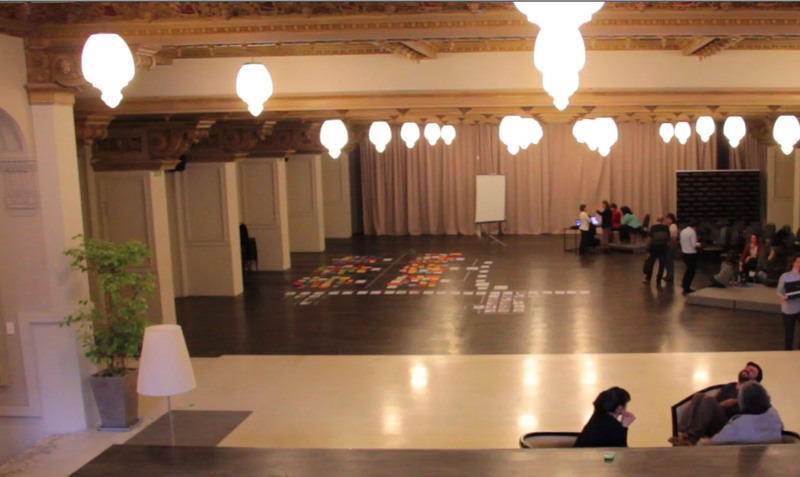 From the prospective research processed by LaboPt by mid 2014, LIID will imagine and introduce one or two un-expected “rupture scenario” in the future research process, and design the protocol of a new collaborative art experiment to take place in Montevideo by the end of 2014.